Serena Williams’ Nike Blazer is not the only Nike collab with a Tennis superstar on the way, with this special-edition black suede Air Max 1 crafted in partnership with former world number 1 Maria Sharapova. 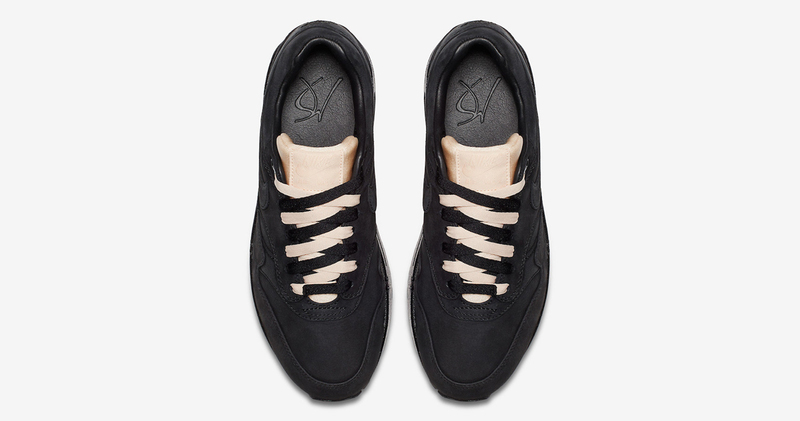 Maria’s effort on the Nike Air Max 1 is fully blacked out, with suede on the upper and a rubber sole unit, and it comes paired with contrasting rose gold/beige on the tongue and laces. The sockliner comes in a luxurious soft leather, with Maria’s logo debossed into the insole. We’re yet to get the official release info for Maria Sharapova’s Nike Air Max 1, but we’re expecting them to hit Nike.com in the coming days.